^ a b Wald, R. M. (1997). "Gravitational Collapse and Cosmic Censorship". In Iyer, B. R.; Bhawal, B. (eds.). 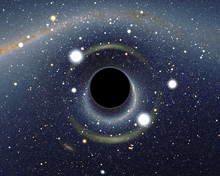 Black Holes, Gravitational Radiation and the Universe. Springer. pp. 69–86. arXiv:gr-qc/9710068. doi:10.1007/978-94-017-0934-7. ISBN 978-9401709347. ^ Kox, A. J. (1992). "General Relativity in the Netherlands: 1915–1920". In Eisenstaedt, Jean; Kox, A. J. (eds.). Studies in the history of general relativity. Birkhäuser. p. 41. ISBN 978-0-8176-3479-7. ^ Obers, N. A. (2009). Papantonopoulos, Eleftherios (ed.). Black Holes in Higher-Dimensional Gravity (PDF). 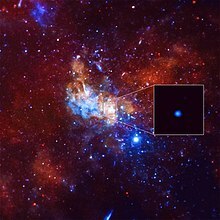 Physics of Black Holes. Lecture Notes in Physics. 769. pp. 211–258. arXiv:0802.0519. Bibcode:2009LNP...769.....P. doi:10.1007/978-3-540-88460-6. ISBN 978-3-540-88459-0. ^ Kerr, R. P. (2009). "The Kerr and Kerr-Schild metrics". In Wiltshire, D. L.; Visser, M.; Scott, S. M. (eds.). 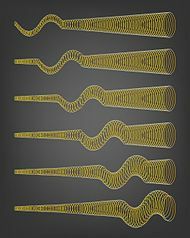 The Kerr Spacetime. Cambridge University Press. arXiv:0706.1109. Bibcode:2007arXiv0706.1109K. ISBN 978-0-521-88512-6. ^ a b Carr, B. J. (2005). 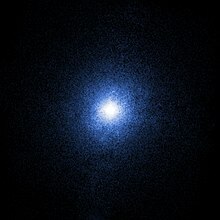 "Primordial Black Holes: Do They Exist and Are They Useful?". In Suzuki, H.; Yokoyama, J.; Suto, Y.; Sato, K. (eds.). Inflating Horizon of Particle Astrophysics and Cosmology. Universal Academy Press. pp. astro–ph/0511743. arXiv:astro-ph/0511743. Bibcode:2005astro.ph.11743C. ISBN 978-4-946443-94-7. ^ a b c Rees, M. J.; Volonteri, M. (2007). 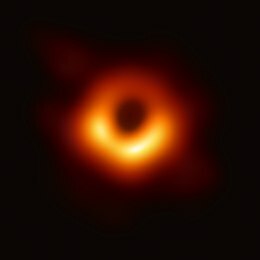 "Massive black holes: formation and evolution". In Karas, V.; Matt, G. (eds.). Black Holes from Stars to Galaxies – Across the Range of Masses. Black Holes from Stars to Galaxies – Across the Range of Masses. 238. pp. 51–58. 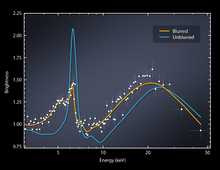 arXiv:astro-ph/0701512. Bibcode:2007IAUS..238...51R. doi:10.1017/S1743921307004681. ISBN 978-0-521-86347-6. ^ a b c McClintock, J. E.; Remillard, R. A. (2006). "Black Hole Binaries". In Lewin, W.; van der Klis, M. (eds.). 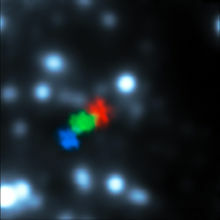 Compact Stellar X-ray Sources. p. 157. arXiv:astro-ph/0306213. Bibcode:2006csxs.book..157M. ISBN 978-0-521-82659-4. section 4.1.5. ^ 't Hooft, G. (2001). "The Holographic Principle". In Zichichi, A. (ed.). Basics and highlights in fundamental physics. 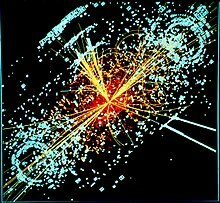 Basics and Highlights in Fundamental Physics. Subnuclear series. 37. pp. 72–100. arXiv:hep-th/0003004. Bibcode:2001bhfp.conf...72T. doi:10.1142/9789812811585_0005. ISBN 978-981-02-4536-8. Carter, B. (1973). "Black hole equilibrium states". In DeWitt, B. S.; DeWitt, C. (eds.). Black Holes.